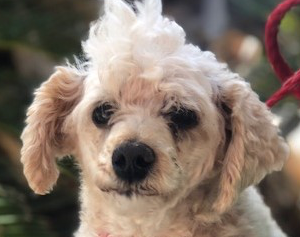 ***ADOPTED*** Our Pet Pick, Ginger, is a 12-year-old Poodle and she is looking for a forever home. She’s a bit shy, but at the same time is quite the cuddle bug. She seems to do well with other animals and children. As always, please bring any other dogs or mature kids with on your meet and greet with Ginger.